Living off the land can be more beneficial than you could have ever accounted for, but it pays to be prepared in case the occasion arises where you’re forced to. This is much different from prepping, where people hoard canned goods and fuel in order to survive some impending doom. Using bushcraft tools will help you to survive regardless of the situation, and will help you to thrive using just what nature has provided. Knowing the important bushcraft tools that you should have on hand will make it much easier for you to get around and find the food and water that you need. This is camping it, rough style. For those who aren’t particularly craft, buying these tools beforehand can make all the difference in the world. It may cost you more money, but you’ll know that they’ll last a long time. However, bush crafting also encompasses being able to build your own tools from scratch, in the event that your purchased tools break or you’re suddenly trapped without them. It can help to have an eye for effective tool design so that you can tell what will and won’t work in making effective tools. It might be handy to study stonework, whittling, and knapping in order to build your own tools from scratch out of natural materials. The fixed blade knife should be well made and should be able to provide many years of use without it rusting or breaking. This kind of knife is most suitable for light to medium work, involving whittling, preparing food, skinning the game you catch, making snares, and cutting branches that are smaller than your wrist. In a pinch, this small knife can also be used to defend yourself, as it’s quite maneuverable and sharp, if it is well-maintained. It’s better to purchase a more high-end knife than a cheap one you find on the market, as it’s guaranteed to last much longer. After using your knife, it’s important to keep it clean after each use. This way, it won’t get dull or start to rust when you need it. To clean your knife, you shouldn’t soak it in water. Instead, create a mild solution of soap and water, and use a clean rag to remove any dirt or debris from its surface that may have accumulated. It’s also important that your blade remains dry. After you’ve cleaned your blade, use WD-40 to remove any water spots to prevent oxidation from occurring. Oil all of the metal parts on a regular basis in order to keep it in good condition. The most important thing about maintaining your knife is to keep it sharp. A sharp knife is much easier to use than a dull one and will save you a lot of energy when cutting into other materials. If you don’t know how, you can always purchase a knife sharpening kit and practice on your cheap knives rather than your expensive ones. When not in use, you’re going to have to keep your knife somewhere. This is done not only to keep it dry, but to also keep you safe. 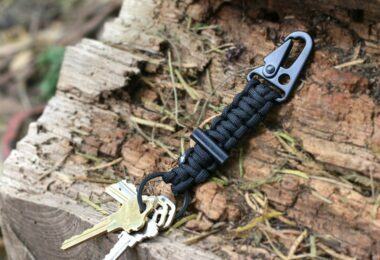 A stray knife can easily puncture the body and if you’re out in the wild bleeding out, it’s going to be some time before help arrives. The blade should be oiled before placing it into storage in a cardboard sheath. Using nylon or leather would only lead to moisture being trapped and this will cause the knife to rust. The knife should be stored in a cool place where there is low humidity. If you’re interested in such a knife, we invite you to take a look at our reviews on best fixed blade knives. These tools are designed for cutting wood that you can use to build a shelter or start a fire. They’re suitable for heavier tasks, such as downing trees, chopping wood, splitting logs, digging, hammering in posts, and butchering large game that you catch. Axes and hatchets can range from small to the very large, but in order to keep your load light, you won’t need something too big that’s going to weigh you down. Your axe or hatchet should also be sharpened on a regular basis so that it’s always ready to be used when you need it. After cleaning and sharpening, you need to store your axe or hatchet effectively. After applying a rust inhibitor, you should wipe off the excess and cover the head with a cloth or sheathe. They should then be placed in a cool and dry place. Many people choose to store their axes by leaving them in a stump, but this will wear them out more quickly since they are exposed to the elements. We also have a well-documented article with detailed reviews and tips on how to choose such a tool. 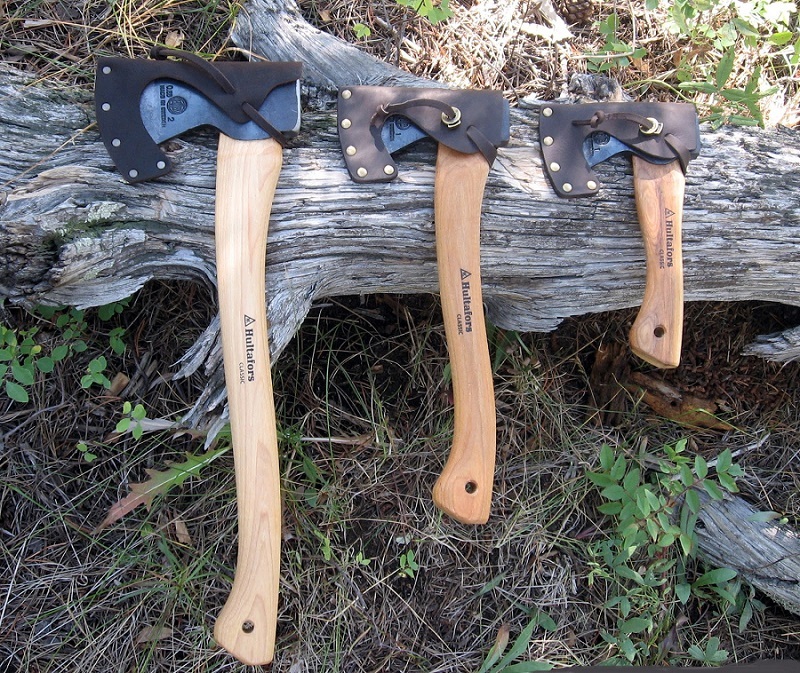 So, if you want to know more, check out the best survival axe article. A machete is a hybrid combination between a large knife and an axe or hatchet. Its long blade makes it a good cutting tool, but not strong enough to feel trees. It can be used to slash at vines and tall grasses in order to clear a path, as well as defending yourself against much larger predators. They can also be used to cut smaller logs for fire, and digging. 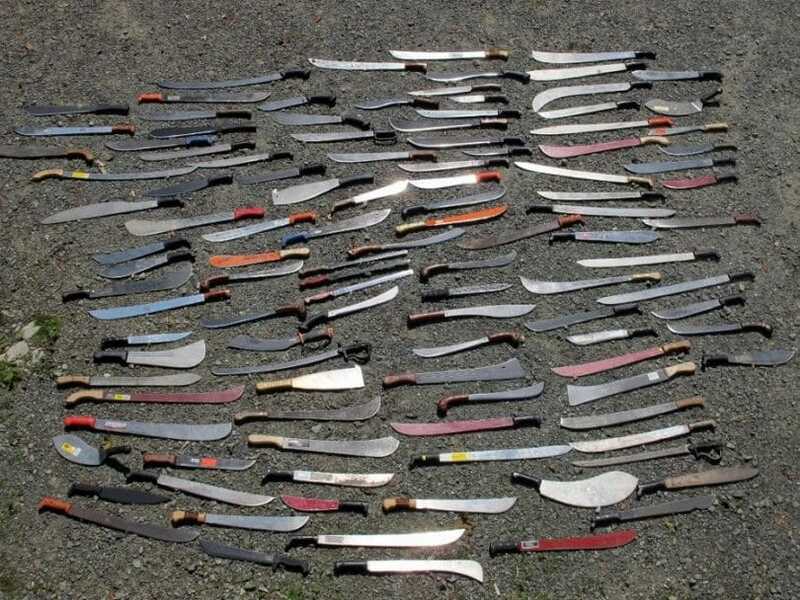 Machetes should be kept clean and well oiled, and they should never be soaked in water to clean them. Use a soap and water solution and a clean rag to remove any dirt or debris. Once they’ve been cleaned they need to be completely dried. WD-40 can be applied to remove any moisture, and then a light coating of oil should be added to prevent any rust or corrosion from taking place. This should be done on a regular basis to maintain the functionality of the machete. To keep your machete sharp, you should use sharpening stones or metal sharpening tools. 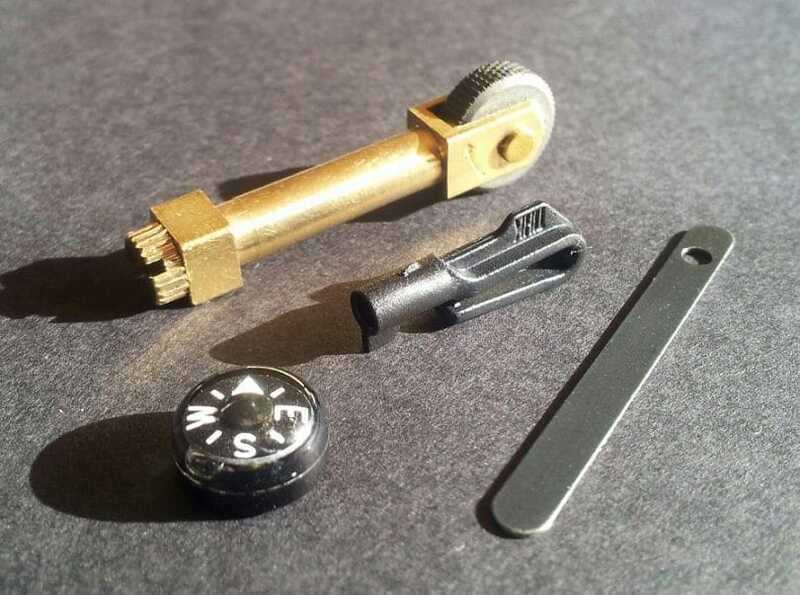 Practice using these before deciding to head out into the wild so that you know what you’re doing. When it comes to storing your machete, you should oil it and store it in a cardboard sheath to keep out moisture, as well as storing it in a cool and dry place. It should be kept in its sheath if you plan to carry it with you and use it. You can learn more about how to choose a machete and the most reliable products on the market, from our article on best survival machete. 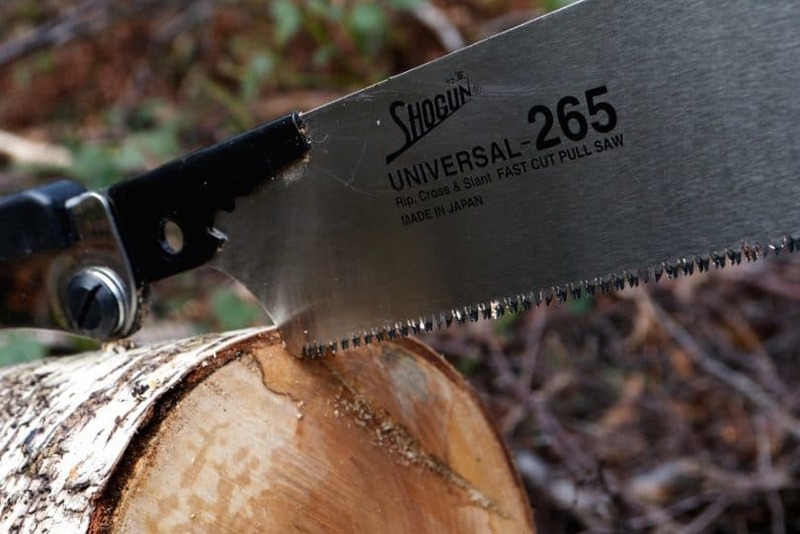 Saws serve the same purpose as hatchets and axes when it comes to cutting wood, but it depends on the purpose of that wood that makes a difference. Saws are used to build something else out of wood, whether it’s a structure, chairs, tables, firewood, or another tool from a large piece of wood. The teeth make it easy to grip to wood and cut through it, though it does take a lot of energy to eventually cut clean through. Saws should be cleaned after each use, as any build up or sap or debris within the teeth can dull them and make them much more difficult to use in the future. Alcohol can be used to remove the sticky residue, but if that doesn’t work, then kerosene can also be used. The saw should be washed and cleaned afterwards, and any spots of rust should be removed with sandpaper or steel wool. Check over your saw to ensure that none of the teeth are missing or cracked. If the blade itself is damaged, then it should be replaced. Using a damaged blade can result in it breaking while in use, and that may result in injury. When it comes to storing your saw, it should be cleaned and oiled to protect the blade from moisture. It should be kept in a cool and relatively dry area, as well as out of the way so that people don’t trip on it. 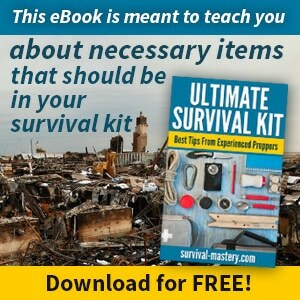 Outside of the tools that you’ll need to survive, you’ll need something to carry them all. Finding the right backpack can help with that, as you’ll need something that’s durable and waterproof so that your belongings won’t get soaked. They can also be used to store things that you may pick up along the way, including crafting materials and food. In the event that you haven’t brought one with you, one can be made from animal skins, or by weaving together plant stems and leaves. Knowing some crafting skills such as weaving or leatherwork can help you to take care of this problem. Trying to carry everything by hand can slow you down and waste more of your energy that you could be using for more important tasks. the materials used in its making should be durable enough to withstand tearing, stretching and bearing weight. Here you can find a detailed article about choosing the best survival backpack with product reviews and opinions from users. 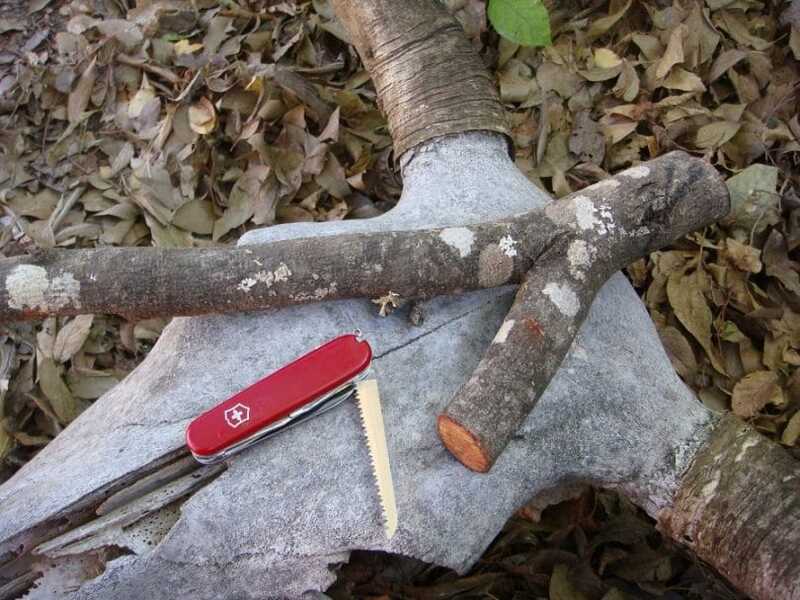 Although the five sets of basic bushcraft tools are essential, there are some other tools that you can bring with you that will make your life a little more convenient. Although bushcrafting focuses on roughing it as much as possible, these small conveniences can help to keep spirit and morale up, especially when the tides don’t turn in your favor and leave you up a creek without a paddle. 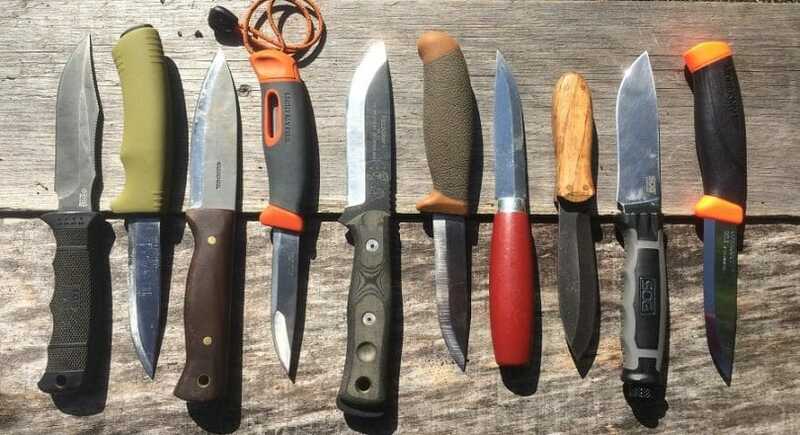 whetstone: since the majority of your bushcraft tools are bladed, you’re going to need some way of keeping them sharp. A whetstone is your best bet and it’s important to have one on you. You can try and make one while you’re out in the wild, but if not, buying will definitely make things a lot easier for you. fire starter: fires are the best way to cook food as well as provide warmth when the weather gets colder. The warmth can also help to boost morale and keep the mood positive. Fire is also essential at sterilizing your tools and cauterizing wounds when there are injuries. 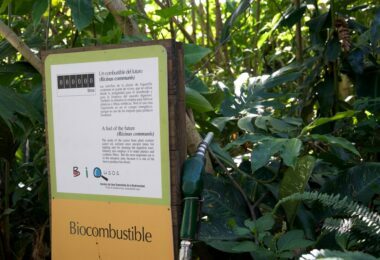 Knowing how to start a fire on your own can be beneficial, but if you don’t, a fire starter can be used thousands of times to get a good fire going. water purifier: boiling the water that you can find can be the best way to ensure that it’s safe to drink. But cooking it can eat up a lot of your fire wood and can take a long time. If you’re on the run or you’re not able to make a fire for some reason, having a water purifier on hand can make things easier for you. Water purification tablets can kill the majority of harmful bacteria and viruses that you can find in water and make it safer to drink. You can also fit a lot of them into a small pack, making them easy to carry. means of navigation: getting lost is easy when all the trees look the same. 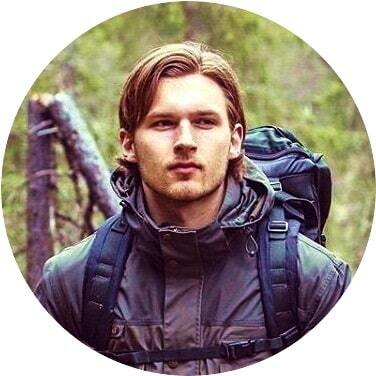 You don’t want to be trapped in the wilderness without any way of getting back to civilization. Having a map on hand as well as a base-plate compass can help you to be aware of where you are and what you’re close to. A map will also be able to show you what you’re close to, such as sources of water (rivers and lakes), where the national parks are, roads, towns, and railways. cookware: having a fire is well and good, but it can be beneficial to have something to eat your meals off of. Adding some meat and vegetables to a lightweight aluminum pot can make the best soup, which can be feeling and keep you warm for a long period of time. A few utensils and plates can’t hurt either, just enough to make yourself comfortable. You don’t need to haul the entire contents of your kitchen drawers with you. clothing: it’s inevitable that your clothes are going to get dirty and smelly from all the walking and activities you’ll be doing. Having a change of clothes will help you feel better than wearing the same outfit day in and day out, and you won’t always have the time to wash them to make them clean again. You should always carry a few changes of underwear and socks in order to prevent infections from setting in, as athlete’s foot can actually be quite irritating. You want clothing that’s going to be waterproof as well as breathable. shelter: unless you plan on really sleeping under the stars even when it’s raining, you might want to bring a small makeshift tent with you. You might be able to build your own shelter out of natural materials, but having a backup can always make things a little easier. If not a tent, then a good quality tarp can be enough to drape over some well-placed stakes to keep you dry from the elements. A sleeping bag or even a waterproof blanket can serve to keep you comfortable when you’re sleeping on the ground. Always think in layers so that you’re prepared for whatever weather comes your way, and invest in a hat in order to keep the sun out of your eyes. first aid kits: wounds, insect bites, and allergic reactions will happen whether you want them to or not. You could be the best planner in the world, and accidents will still happen. Having a first aid kit to take care of these will prevent infections from setting in and will also lighten the suffering that you may experience. The first aid kit that you bring with you should be compact and light, and should include adhesive, gauze, bandages, alcohol wipes, scissors, tweezers, finger splints, various ointments for burns and insect bites, cold packs, hand sanitizer, aspirin, Benadryl, and anti-diarrhea pills. This is just a small list of important things to consider, so if you have special medical needs, you should include them as well. snare wire: snare wire can make it easier for you to catch the prey that you plan on eating, and doesn’t take up a lot of space or weight in your pack. Trying to catch prey with your bare hands will prove to be difficult. 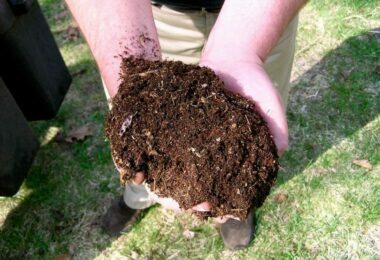 fishing lines and hooks: a line and some hooks is all you really need, as you can find grubs and worms out in nature to serve as bait. It can be a change of pace in your meals, especially if you’re having a hard time catching smaller game. bug-out bags: it’s important to have one of these in case of an emergency. This is a bag of the bare essentials you’ll need for the next 72 hours when a disaster occurs, such as an earthquake or a fire. 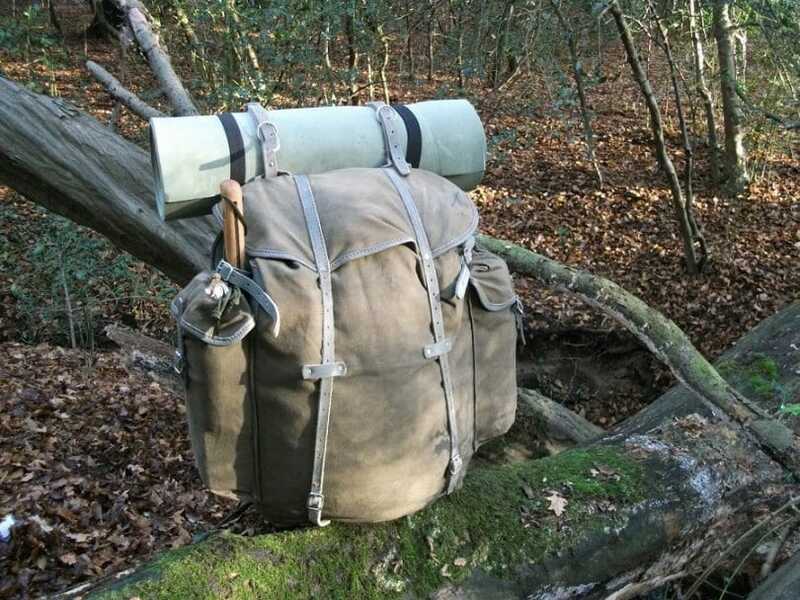 Your bug-out bag should also include your bushcraft tools, as well as the bare essentials such as water, some dried food, the basic first aid necessities, some spare clothing, a fire starter, a light source and batteries, your compass, and some means of communication such as a ham radio to be aware of the state of the disaster taking place. 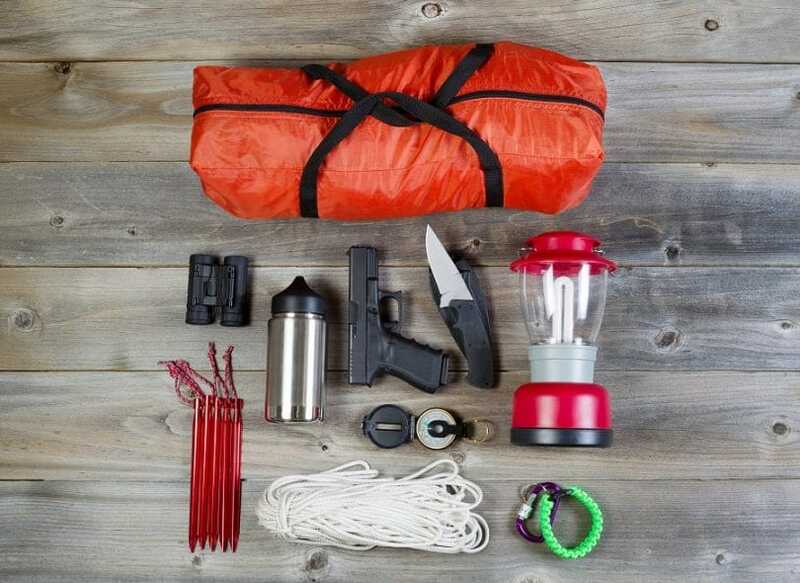 Having a complete bug-out bag may require you to double up on some of the tools you already have, but it’s better to be prepared than to be caught with your pants down and unable to deal with this new situation. This may seem like a lot of things to bring with you, but you’ll be thankful that you had the patience to carry these things with you when you don’t feel up to rigorous work. Bushcrafting can be quite tiring, and it’s the small conveniences that can help to keep our mood up, especially when our usual methods aren’t proving to be very successful. If you can, choose to only use them when you really need to instead of when you really want to. You’ll be grateful for having these backups so you can actually get to relax once in a while. The tools that you’ll bring with you are only as useful as the skills that you’re equipped with. A knife isn’t going to do you any good if you don’t know how to trap prey or skin them in the first place. Having a rounded set of skills to survive in the wild include knowing how to hunt and trap, forage for other sources of food, how to purify water, build a shelter, and build a fire. Without these skills in your belt, you’re as good as dead even with all the bushcraft tools at your disposal. Bushcrafting is something that you have to wholly prepare yourself for, and even then, there will still be surprises that you haven’t accounted for. It’s not an activity you can jump into when the mood strikes you, as you can quickly learn just how unprepared you are very quickly and in the worst way possible. It requires a lot of preparation, time, patience, and the right mindset to decide to live out in the wilderness with nothing but the tools at your side to help you along. It’s best to keep an open mind and a positive attitude, so that you can deal with anything that comes your way.